"Learning How To Recognise You Have Angels In Your Life". We all have Angels to love and care for us. Some of us are lucky enough to hear them clearly, for others is a process that’s needs a little bit of nudging along. For having an Angels we need the strong Self Belief, but Self Belief is one of the Key Factors in why we find it difficult to believe in the messages Angels share with us daily. We are scared to trust in what we receive. Imagine a life where you needed no proof and just believed in the magic of Angels and the glory of you....wow! You are not alone. Do you know that you have many angels helping you every day? Would you like to meet yours? Ever wondered how you can communicate with your angels well wonder no more…here is what you want to know! 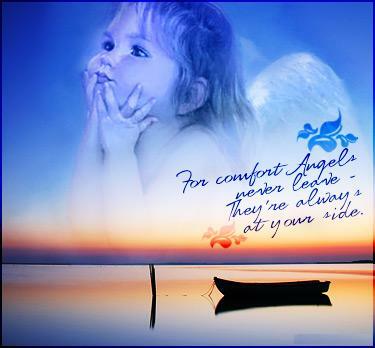 ANYONE can talk to their angels ! "Many of you are being awakened today to hear our messages and to believe in our help and support, our practical help and support. As you go through your day, we are there. We are not hiding, or difficult to feel or to know. We are always with you and we are always available. Now." Oh! how my heart sours when I think of my Angels. It all starts with God. Keep the God you have. You do not have to change the God for understanding the angels. Who is God? Well the best answer, I, a mere mortal can give is the message that was given by the angels. No matter how big, huge, all-consuming, or wise you think God is.........you do not have Him big enough. Not nearly big enough. God is Love. The Father, The Mother, The Source, The All, Allah, The Devine Mind, The Supreme Being, The Goddess. Whatever you have learned to call Him or Her, God is the one we all pray to. Even we Angels.